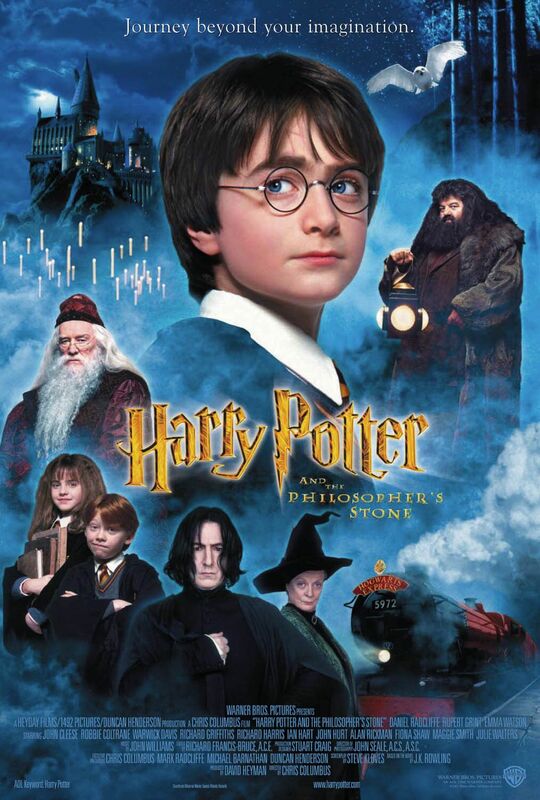 Synopsis: After spending years suffering abuse from his aunt, uncle and cousin, on his 11th birthday, a boy named Harry Potter receives a letter to study at the great Hogwarts School of Witchcraft and Wizardry. Review: When one Joanne Kathleen Rowling sat at an Edinburgh cafe in the 1990s, and an idea for a story of a young boy finding out he’s a wizard came into her mind, she probably could have barely imagined the power of the words she was writing, of the vivid and incredible world she was creating. Sure enough, seven books later, the world of Harry Potter had millions upon millions of fans across the globe, and Rowling become one very wealthy lady. Naturally, it was almost inevitable that this world would get brought onto the big screen, and that journey began in 1998 when Rowling sold the film rights to the first four books for a cool one million pounds. Thus, Harry’s journey from book to screen began. Like the world of Middle Earth, the world of Hogwarts and all the magic that it encompasses is so vast and so rich in detail, even if a viewer has never read Rowling’s brilliant novels, the magic on screen is enough to ensure the viewer is consumed by this world of magic and all that it is has to offer. The place of Hogwarts has so much history and so much backstory to it, it is a world that is immediately enthralling. Director Christopher Columbus brings it all to the big screen, and all of those incredible places the wizarding world has to offer. With a screenplay by Steve Kloves, the filmmakers checked with Rowling to check that everything was correct, and while there are some omissions and changes in certain places, it remains as faithful as it can to its source material, which does pose some problems, but these are not enough to drag the movie down. Right from the off, Rowling insisted on British actors for the characters, an insistence that resulted in Steven Spielberg passing on the opportunity to take on directing duties. Yet whoever made the final decision on the casting of these characters deserves enormous praise, as the casting is just about perfect. While Daniel Radcliffe may have been a little bit rusty in certain places, he carried the enormous burden of the role very well. Rupert Grint and Emma Watson as Ron Weasley and Hermione Granger were also excellent choices. The chemistry between these three actors simply had to be perfect in order for the franchise to succeed, and thankfully, they did. Similarly, casting Maggie Smith as Professor McGonagall, the late Alan Rickman as Severus Snape, and Robbie Coltrane as the lovable Hagrid were further examples of particularly inspired casting choices. Looking back, it is quite hard to imagine another actor playing these roles! With just about the perfect cast, Columbus delivered a truly magical movie that made every fan who read Rowling’s books fall in love with Hogwarts all over again. The set decoration is just beautiful and you’d think that Hogwarts is a place you can visit. Alas it’s not but the Warner Bros Studio Tour near London is about as close as you can get! This is in no small part down to John Williams’s incredible score, and that beautiful theme that instantly transports you to the magical world of Harry Potter. The Quidditch match, Diagon Alley, and that very climatic final battle with the chess board is all beautifully well realised. The first movie in a franchise is crucial to its success, and this ensured the franchise got off to a very healthy start. It’s magical, intriguing, and every Potter fan no doubt left the cinema on cloud nine, while floating away on an imaginary Nimbus 2000! Philsopher’s Stone provides the perfect introduction to the franchise for old and new fans alike! With wonderful acting, tremendous magical effects, a beautiful score and above all a superb story at its core. Thanks again to you! I hope to read the Harry Potter reviews soon and when I do I will definitely let you know what I think.